As the quality leader amongst Tampa roofing companies, nobody understands better than we do how essential a strong roof is to your home or business. At Dynamic Roofing Concepts Inc., we pride ourselves on building the most quality, strong and reliable roofing systems in the entire Tampa area. Our commitment to our valued customers has kept us in the roofing industry for over 43 years. Let us professionally install your new roof with our brand-name products, and service team that is GAF certified and proven experts in the field. At Dynamic Roofing Concepts Inc., it is our goal to always educate our customers on every type of product or service we offer, so that they can make an informed decision. We never pressure our customers into making a decision, but provide all the information you need to select the perfect roofing system for your home or business. 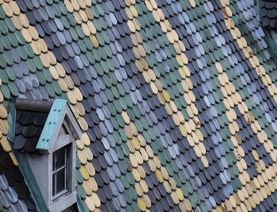 Why Work With Dynamic Roofing Concepts Inc. ? As a family-owned and operated business, we know how important it is to trust your roofing company. A stable roof can protect your family, your business and your investments. Work with a reliable and trustworthy roofing company in Tampa, Odessa and Brandon FL by calling Dynamic Roofing Concepts Inc.. You’ll notice a difference with our unwavering commitment to pleasing our customers, and our high quality products and services. If you’re ready to repair or replace your roof on your home or business then give our team of experts a call today at 813-657-7663 or complete our easy online request form for estimates.